Business Administration Skills are core skills that benefit anyone looking to work in business, whether an employee or business owner. Activities relating to administration normally include bookkeeping, business writing such as documentation and plans, personal assistant positions, managing office meetings and supply chain management. This comprehensive online bundle includes 9 courses covering topics like administration support, basic bookeeping, business writing, meeting management, social media use in the workplace, basic organizational skills and more! Starting with the Skills for the Administrative Assistant Course you will learn the essential requirments to succeed in administration, including time management and organisational skills, verbal and non-verbal communication and achieving your goals. Next up our Accounting Skills for New Supervisors Course get you equipped to meet any accounting tasks that fall on your desk and get a concrete understanding of the concepts and terminology you will face in day to day tasks. In addition to this we have included an essential Business Writing That Works Course that will improve the quality of your reports, emails, proposals, and agendas making you an asset to any business. A common challenge in any administrative role is not only attending meetings but managing meetings yourself, with the Meeting Management: The Art of Making Meetings Work & Project Management Fundamentals Coursesyou will be able to run smooth and succesful meetings everytime and get on top of your projects. There is much more to get out of this bundle including the Project Planning: All You Need to Know Coursewhich will help you get the most out of your day, the Developing Your Executive Presence Course a highly popular and essential course that will equip you with the skills and confidence to be an amazing Assistant and the Logistics and Supply Chain Management Course that will give you a comprehensive understanding of how supply chains work and allow you to communicate in discussions around this area of your business. 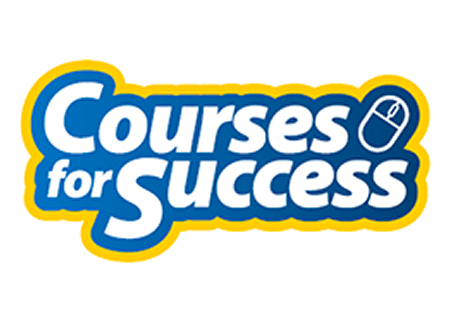 This is an incredible opportunity to invest in yourself and your future, Sharpen Your Administration Skills or Prepare to Run Your Own business with Courses For Success Today!